“Italy is the best country in the world. We are inspirational to other nations. 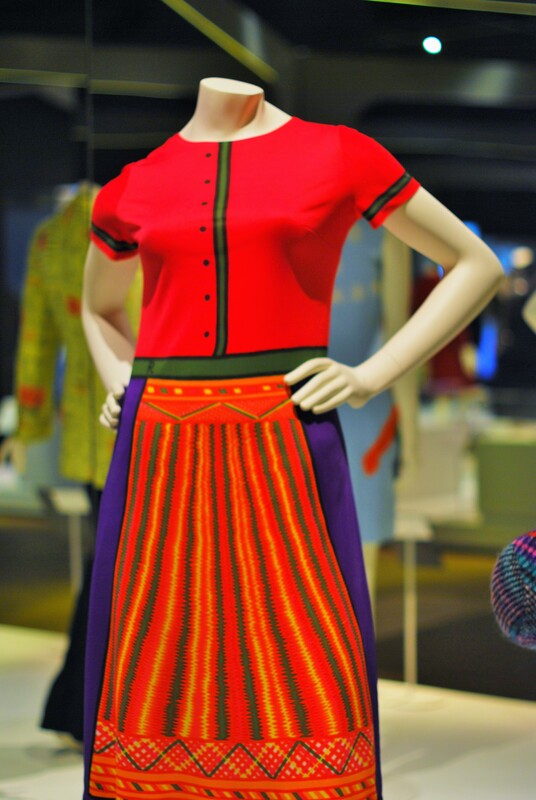 They want to dress the way Italians dress”, Missoni said proudly, one of the many designers being celebrated at London’s Victoria and Albert Museum’s exhibition ‘The Glamour of Italian Fashion 1945-2014’, the first major exhibition to examine Italy’s rich and influential contribution to fashion from the end of the Second World War to the present day. 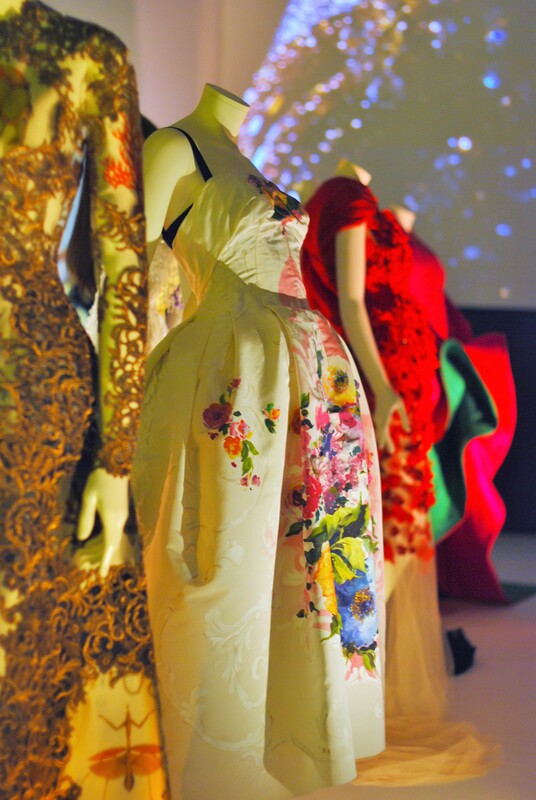 Italian design is displayed through 100 select ensembles, borrowed from 30 archives, including designers such as Gucci, Pucci, Valentino, Missoni, Dolce & Gabanna, Cavalli, Versace, Armani, Fendi, Moschino, and not to mention Prada, who began in 1913, one year before the first world war broke out. The story of Italian fashion is explored through the key individuals and companies that have contributed to its reputation for quality and style in both women and menswear. The exhibition highlights the exceptional quality of techniques, materials and expertise for which Italy is famous around the world. Italy has maintained glamour and dignity through hardship. In 1945, the post-war government worked to give a country weakened in spirit and in financial ruin a new beginning. Thanks to national public and private efforts, and to American aid provided through the Marshall Plan, Italian factories started to work again and many local entrepreneurs turned to ‘la moda’, developing the fashion and textile sectors that soon became a cornerstone of Italy’s post-war recovery. Many fashion manufacturing businesses started up in the ’50s and ’60s; most were family-run and, before you knew it, they evolved into international luxury brands. After many years of wartime deprivation, there was a desperate hunger for glamour too. In 1951, Giovanni Battista Giorgini launched Italy’s first internationally acclaimed fashion shows, the ‘Sala Bianca’ or ‘White Hall’, a chandelier-lit gallery in Florence’s Pitti Palace, while Missoni put Milan Fashion Week on the map. These catwalk shows put Italian fashion onto the world stage and led to Italian high fashion and fine tailoring popular exports. From the early 1970s, the popularity of Italian couture had already grown significantly and Milan, with its clothing and textile factories, its fashion press and advertising media industry, had become the undisputed Italian fashion capital. The ‘Made in Italy’ marketing campaign started in those early post-war decades and celebrated a multitude of premium goods: glamour, art, food, tourism, design and fashion. This decades-long promotional campaign ensured that ‘Made in Italy’ became world renowned for its elegance, helped by the fact that during the 1950s and ’60s, many Hollywood films were shot in Italy. Moreover, Hollywood stars like Audrey Hepburn and Elizabeth Taylor, draped in Bulgari diamonds, became the best style ambassadors for Italian fashion, starting a general appetite for luxurious clothing made in Italy. 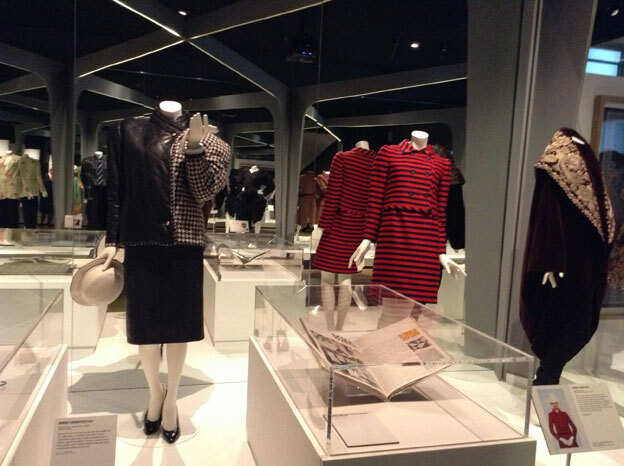 The materials and expertise for which Italy has become renowned is a special focus of the V&A exhibit. A well-tailored suit requires precisely cut fabric and exact fit: a Neapolitan suit could be distinguished from one made in Rome. The smallest design elements, such as the shape of a pocket or sleeve, often differed from region to region. There is an interesting map at the exhibition showing the different skills throughout Italy’s regions and districts. Since the mid-1990s, fashion has become ever more glamorous and international. Over the years, the rise of the ‘cult of the designer’ meant that designers like Versace, Armani and Dolce & Gabbana have all become celebrities in their own right. Armani has recently made Bloomberg’s ranking of the world’s richest people, as the the fifth Italian wealthiest man. 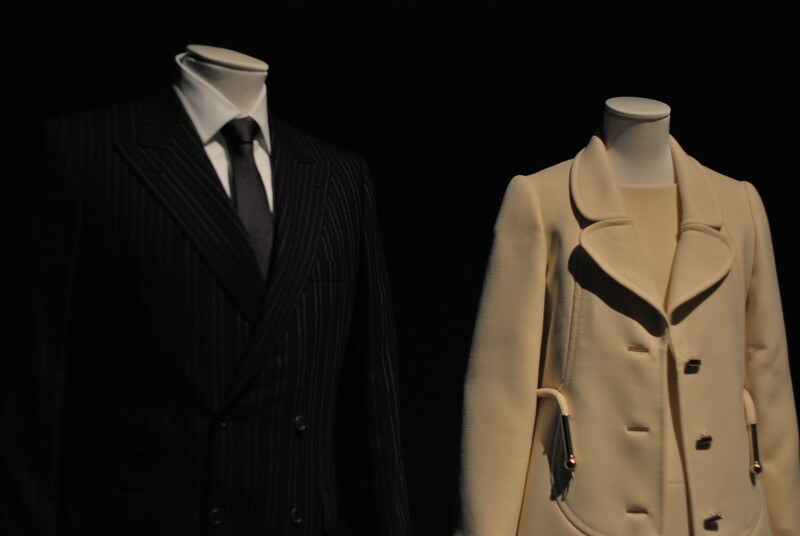 The exhibition explores even these most recent developments in the Italian fashion business. 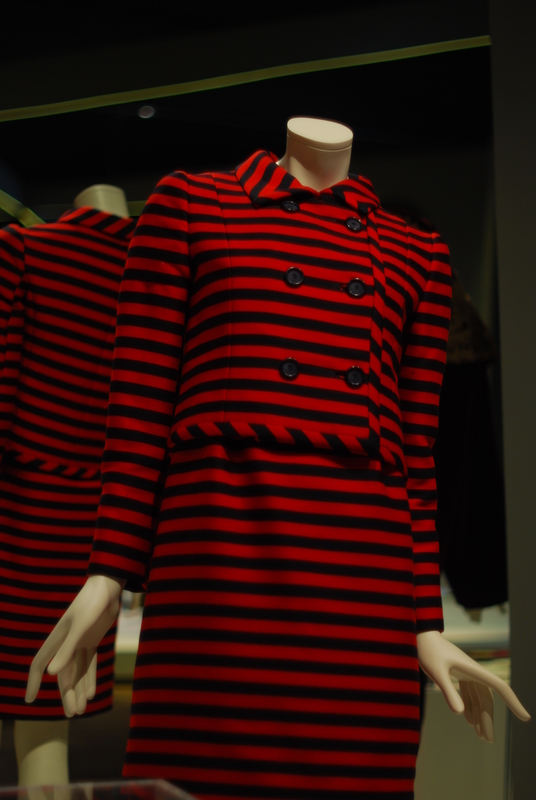 Italian optimism with creative thinking is what made Italian fashion what it is. With today’s monetary climate at the back of our minds, this exhibition will bring a much needed worldwide morale boost. The exhibition ‘The Glamour of Italian Fashion 1945-2014’ runs until 27 July 2014 and is sponsored by Bulgari, the emblem of Italian glamour. This entry was posted in BEAUTY, DESIGN, FASHION, ITALY, ITALY MAGAZINE, LONDON, ROME. Bookmark the permalink.